Chicago Restaurant week is here! Over 350 restaurants will offer special dining deals from January 22 through February 4. 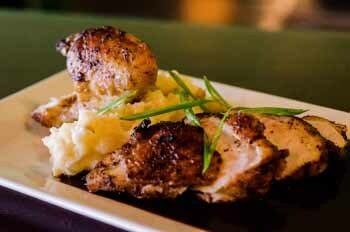 This annual two-week culinary celebration offers prix fixe menus starting at $22 for lunch and $33 and/or $44 for dinner (excluding beverages, tax, and gratuity). Check out our favorite participants below! restaurant week. For lunch, Bella Bacinos is offering a roasted red pepper soup, Tuscan minestrone, or insalata mista to start. Next, guests have a choice of three of their signature Pizza Cups Milano, which were featured at the 2015 world’s fair in Milan, Italy, and a dessert of tiramisu or a cannoli ($22). For dinner, the prix fixe menu includes two salad options, choice of veal scallopini, grilled salmon, or rigatoni Napoletana pasta, and dessert of tiramisu or flourless chocolate cake ($33/$44 with wine pairings). Don’t miss the authentic Southern Mexican cuisine at Ixcateco Grill (3402 W. Montrose St., Chicago; 773-539-5887) for dinner during restaurant week. To start, guests can choose between a Mixed Salad with mangoes, goat cheese, and cashews with an agave ginger dressing or Miniature Sopes topped with slow-roasted Poultry Carnitas. The entrée includes either Pollo en Red Mole or Lomo de Puerco, adobo marinated wood grilled pork loin with in a tomatillo orange sauce. Finally, guests will finish the evening with house-made Pecan Flan ($33). both lunch and dinner during restaurant week. Guests will begin with an Anti Pasto, choosing from items such as fire roasted crispy artichokes or cheesy tomato fondue. 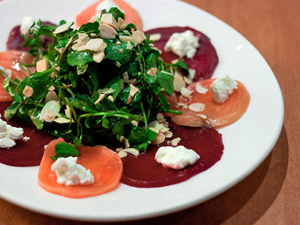 Then, there will be a choice of salad, such as the arugula salad with local apples in a walnut vinaigrette, or the Roasted Heirloom Beet Salad. The entrée includes several choices from La Madia’s Pizza and Pasta Menu, including the Tagliatelle all’Amatriciana or the triple pepperoni pizza with white truffle oil ($22 lunch, $33 for three course dinner, $44 for four course dinner). and chef turned farmer Tracey Vowell of Three Sisters Garden is serving a special brunch and selling unique food items twice a month at the Immanuel Lutheran Church Winter Farmers' Market in Evanston (616 Lake St., Evanston, IL 60201-4413). The next market is January 16. The duo has prepared a menu for the Winter Market that’s delicious, and environmentally responsible using ingredients from local farms. The menu features produce and grains from Three Sisters Garden, Genesis Growers, Catalpa Grove Farm, Nichols Farm, Bennison’s Bakery and others. First on the menu is the Three Sisters Garden Oatmeal Cake with Maple Creek Farm Bacon and Maple Valley Coop Maple Syrup ($6.50). Next is the Creamy Three Sisters Garden Cheese Grits or Smashed Pinto Beans with Scrambled Genesis Growers Eggs ($6). Next is Prairie Grass Cafe Chef George Bumbaris’ Signature White Bean and Homemade Sausage Soup, with meat provided from Catalpa Grove Farm ($6). For something light try the Three Sisters Garden Salad with Pea Shoots, Baby Kale, Apples from Nichols Farm, Candied Pecans, Roasted Squash, with a unique Apple Cider Vinaigrette from Ellis Family Farm ($8). Next is a classic Grilled Cheese Sandwich with bread from Bennison’s Bakery and local cheese and tomatoes from Mighty Vine Tomatoes ($6). Last but definitely not least, is the Pulled Maple Creek Farms Pork Sandwich with Apple and Winter Radish Slaw ($8). For dessert try Sarah’s Mom’s Pecan Pie ($5.50/slice $32/full); Heirloom Squash Coffee Cake ($5); Crisp Oat Cookies ($6 for 6) or Gluten Free Pecan Oak Crackers ($4). To accompany your dessert, don’t forget to grab a glass of Chef Stegner’s unique Pecan milk ($5) or take home a pint for $12. The Winter Farmers Market (Immanuel Lutheran Church, 616 Lake St., Evanston, Illinois 60201-4413) hours are from 9 a.m. to 1 p.m. January 16 & 30, February 13 & 27, March 12 & 19, and April 9 & 23. The Immanuel Lutheran Church Winter Farmers' Market is part of the Evanston Farmers' Markets. Participation in this Winter Market provides healthy options to a community of hungry local customers; it supports hungry people in need. Each vendor donates $50 for each market day to support the Immanuel Lutheran Church congregation’s involvement in local, national, and global anti-hunger initiatives. Preliminary recipients include: Hillside Church Food Pantry Evanston, Shelter for Domestic Violence Services of the YWCA Evanston/North Shore, Battered Women and Their Children, and World Hunger Appeal of the Evangelical Lutheran Church in America (ELCA). As in years past, the Hillside Food Pantry, will continue to collect farmer/vendor excess products at the end of every market to be sure they are placed in the hands of people who need them.